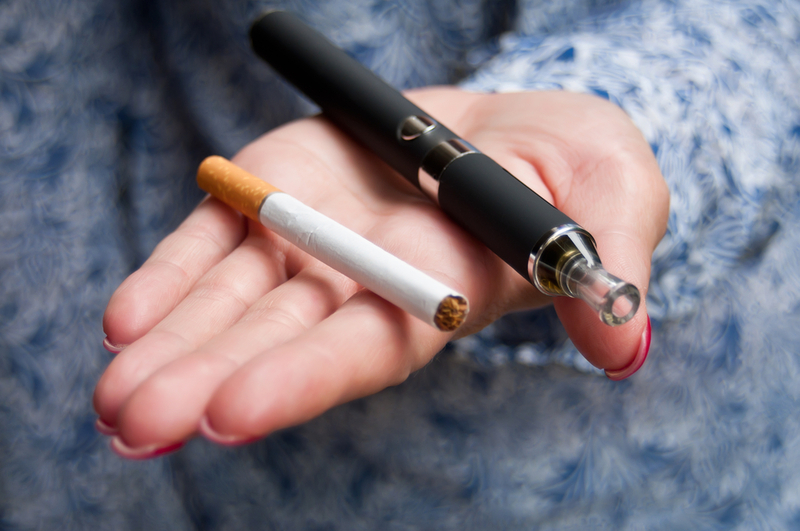 YOU ARE HERE:Home » In the News » Are E-Cigarettes a Safer Alternative for Women? E-cigarettes can help smokers quit! These are some of the headlines we’ve seen over the past year or so. But are they true? Are e-cigarettes really safer than regular tobacco cigarettes? Short for “electronic cigarette,” the e-cigarette—also called a personal vaporizer—is a device that vaporizes a liquid solution so it can be inhaled. It’s battery operated, and shaped like a cigarette, though some manufacturers have produced products that look more like a cigar, pipe, pen, or even a USB memory stick. The solution inside the device is called the e-liquid or e-juice, and usually contains nicotine dissolved in some sort of food additive like propylene glycol or vegetable glycerin and water. Users can choose their nicotine level, which can range from none at all to “extra-high.” Many e-cigarettes also contain artificial flavorings, to make them taste like regular cigarettes. Those who use e-cigarettes may refer to smoking as “vaping,” as when they inhale, they activate the heating device that vaporizes the liquid. Why Do People Think E-Cigarettes Are Safer? Many users instinctively feel that e-cigarettes are safer because they don’t contain tobacco. That means they don’t produce tobacco smoke, which in traditional cigarettes, is a source of a number of harmful toxins. According to the Centers for Disease Control and Prevention (CDC), tobacco smoke “contains a deadly mix of more than 7,000 chemicals. Hundreds are toxic. About 70 can cause cancer.” Among those toxins are formaldehyde, benzene, vinyl chloride, arsenic, lead, cadmium, carbon monoxide, hydrogen cyanide, ammonia, butane, and toluene. Since E-cigarettes contain no tobacco and thus (we assume) none of these dangerous toxins, it seems they be a much better option. But are they really? But at the same time, many major health organizations suggest caution in using these devices, since we don’t yet have long-term studies to determine how they affect health over a period of many years. In August 2015, Public Health England (PHE)—an executive agency of the Department of Health in the United Kingdom—announced that vaping was about 95 percent safer than smoking, and could potentially lead to the end of traditional cigarettes. They added that the devices are not completely free of risk, and that we don’t yet have evidence on how long-term use may affect health, but that they could be licensed as medicines to help smokers quit. Experts later criticized PHE’s report, stating that the agency based their conclusion on a flimsy foundation, and didn’t gather enough evidence to support it. Indeed, the evidence we have is mixed. In a study published in Tobacco Control, researchers tested the vapor from 12 brands of e-cigarettes, and found that it contained some toxic substances. The levels of those toxins, however, were 9–450 times lower than in cigarette smoke. “Our findings are consistent with the idea that substituting tobacco cigarettes with e-cigarettes may substantially reduce exposure to selected tobacco-specific toxicants,” the researchers wrote. Those harmful metals? Chromium and nickel—at higher levels than regular cigarettes—and lead and zinc at lower levels. Researchers noted that since these particles come from the e-cigarette cartridge and not the liquid solution, improvements in manufacturing could potentially reduce their levels. Can E-Cigarettes Help Women Quit? The American Heart Association (AHA) has so far straddled the issue. They released a policy statement in 2014 that called for stricter regulations on vaping, particularly on marketing to minors, but they also agreed that research indicates e-cigarettes may help smokers quit—as long as people don’t use them indefinitely. This may be true, though we need more studies to be sure. In 2013, researchers gave over 650 smokers who wanted to quit nicotine e-cigarettes, nicotine patches, or placebo e-cigarettes with no nicotine. They found after 12 weeks that e-cigarettes, with or without nicotine, seemed to be “modestly effective” at helping smokers to quit. The World Health Organization (WHO) has concluded that there is insufficient evidence to conclude that e-cigarettes help people quit. They recommend smokers use other already approved methods in stead. WHO has also called for a ban on indoor vaping and e-cigarette advertisements to minors, and suggested governments regulate the health claims manufacturers are making, since they lack strong evidence behind them. They added that the devices expose others in public places to nicotine, and that the emissions aren’t simply water vapor, but contain other chemicals. “The fact that ENDS [electronic nicotine delivery systems] exhaled aerosol contains on averages lower levels of toxicants than the emissions from combusted tobacco does not mean that these levels are acceptable to involuntarily exposed bystanders,” the WHO stated. They added that studies showed some e-cigarettes actually produced toxicant levels in the range produced by some cigarettes. Meanwhile, we still don’t know how inhaling chemicals like propylene glycol or glycerin over a period of years may affect the lungs. There is some evidence that repeated exposure may cause airway irritation. And finally, there is still the nicotine—an additive substance that in some animal studies, has been found to potentially promote the spread of cancers. One of the concerns with e-cigarettes is that the amount of nicotine in them can be inconsistent, even in products of the same brand and strength. According to a recent survey, women are more likely to start using e-cigarettes because their friends are using them than men are, and are also more likely to use them for mood-management and weight control. 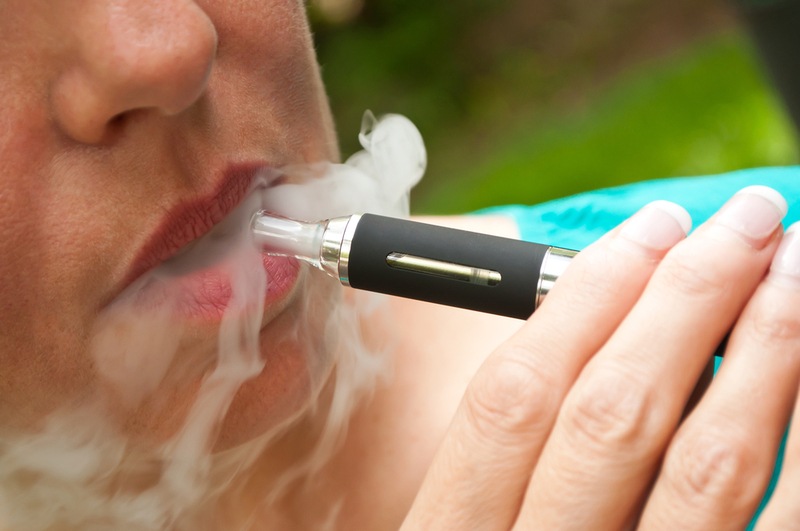 How might e-cigarettes affect women, specifically? So far, we don’t have enough research to know for sure. Right now, the biggest concern is that expecting moms will use them, thinking that by doing so, they are escaping the dangers of regular cigarettes. The University of Kentucky College of Nursing was recently awarded a grant to research the effects on pregnant women, but the results won’t be available for a couple years. “To date,” said associate professor Kristin Ashford, “we do not know what effects these products have on pregnant mothers and their children; however, we do know that e-cigarettes contain nicotine, which can cause birth defects.” She added that pregnant women are switching to these devices in an attempt to minimize the effects associated with smoking, but that they should be aware that the nicotine can still present health risks to the fetus. A recent study reported that more than 40 percent of pregnant women surveyed believed that e-cigarettes were less harmful than tobacco cigarettes, and only 57 percent believed that they contained nicotine. Meanwhile, studies continue to show that nicotine is dangerous. In 2010, for example, researchers reported that other forms of nicotine replacement therapy, like patches and sprays, were associated with long-term effects in the baby, such as fertility problems, type 2 diabetes, obesity, hypertension, behavioral effects, and respiratory problems. So far, there is little government oversight of e-cigarette products. According to the American Lung Association, nearly 500 brands are on the market right now, all without evaluation by the Food and Drug Administration (FDA). The FDA is seeking to change that. They have issued a proposed rule that would give them the authority to cover e-cigarettes just like they do regular cigarettes. If the rule becomes final, the FDA will be able to enforce age restrictions and scientific review of new products and claims, and will also be able to prohibit vaping where smoking is banned. Some news reports state that the rule would put an end to many small and mid-sized vaping companies, as the FDA approval process for the products would require millions of dollars. Major tobacco giants that produce the products would likely still do so. Advocates for health are hoping the rule will be finalized, however, as they believe it would help protect public safety. The Center for Environmental Health is one of them. They stated in a report that their study of 97 e-cigarette products found that 21 of the 24 companies whose products were tested had at least one that produced high levels of the cancer-causing chemicals acetaldehyde and formaldehyde. The FDA has also conducted studies that showed e-cigarettes contained cancer-causing chemicals in the cartridges, and that other toxins in the aerosol varied widely between brands. FDA oversight could help standardize products to help reduce these dangers. Considering the health risks of regular smoking, the best approach for longevity is to quit however you can. If e-cigarettes help you do that, they may be something you want to look into. Long-term use of these devices, however, doesn’t look like a good idea. According to the American Cancer Society, studies have shown that e-cigarettes can cause short-term lung changes much like those caused by regular cigarettes, though their long-term effects are as yet unknown. It may be that the more proven nicotine patches and gums may be more effective quitting methods. “Chemicals in Tobacco Smoke,” Centers for Disease Control and Prevention, March 2011, http://www.cdc.gov/tobacco/data_statistics/sgr/2010/consumer_booklet/chemicals_smoke/. “Drug Facts: Electronic Cigarettes (e-Cigarettes),” National Institute on Drug Abuse, August 2015, http://www.drugabuse.gov/publications/drugfacts/electronic-cigarettes-e-cigarettes. Adam M. Leventhal, et al., “Association of Electronic Cigarette Use with Initiation of Combustible Tobacco Product Smoking in Early Adolescence,” JAMA, August 18, 2015; 314(7):700-707, http://jama.jamanetwork.com/article.aspx?articleid=2428954. James Meikle, “Vaping: e-cigarettes safer than smoking, says Public Health England,” The Guardian, August 19, 2015, http://www.theguardian.com/society/2015/aug/19/public-health-england-e-cigarettes-safer-than-smoking. “Electronic nicotine delivery systems: Report by WHO,” World Health Organization Framework Convention on Tobacco Control, July 21, 2014, http://apps.who.int/gb/fctc/PDF/cop6/FCTC_COP6_10-en.pdf. Aruni Bhatnagar, et al., “Electronic Cigarettes: A Policy Statement from the American Heart Association,” Circulation, 2014; 130:doi: 10.1161/CIR.0000000000000107, http://circ.ahajournals.org/content/early/2014/08/22/CIR.0000000000000107.full.pdf. Denis Campbell, “E-cigarettes: no indoor smoking ban planned in England despite WHO call,” The Guardian, August 26, 2014, http://www.theguardian.com/society/2014/aug/26/e-cigarettes-no-indoor-smoking-ban-england. Peter Hajek, et al., “Electronic cigarettes: review of use, content, safety, effects on smokers and potential for harm and benefit,” Addiction, November 2014; 109(11):1801-1810, http://onlinelibrary.wiley.com/doi/10.1111/add.12659/abstract. Goniewicz ML, et al., “Levels of selected carcinogens and toxicants in vapour from electronic cigarettes,” Tob Control, March 2014; 23(2):133-9, http://www.ncbi.nlm.nih.gov/pubmed/23467656. Christopher Bullen, et al., “Electronic cigarettes for smoking cessation: a randomized controlled trial,” The Lancet, November 16, 2013; 382(9905): 1629-1637, http://www.thelancet.com/journals/lancet/article/PIIS0140-6736%2813%2961842-5/abstract. 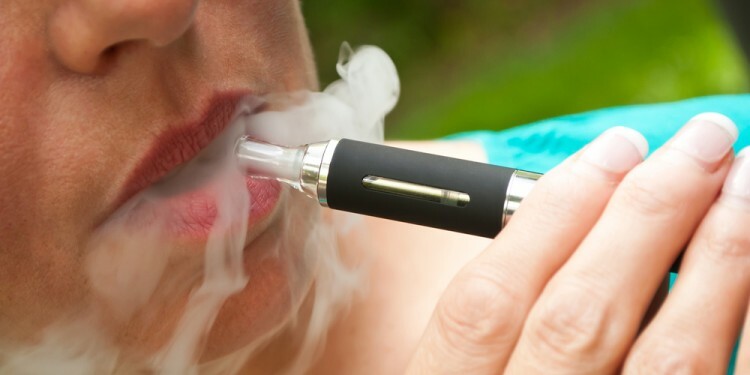 Robert Perkins, “Second-Hand E-Cigarette Smoke: Healthier Than Regular Cigarette Smoke, but Still Contains Some Toxic Elements,” USC Press Room, August 28, 2014, https://pressroom.usc.edu/second-hand-e-cigarette-smoke-healthier-than-regular-cigarette-smoke-but-still-contains-some-toxic-elements/. “E-cigarettes and Lung Health,” American Lung Association, http://www.lung.org/stop-smoking/smoking-facts/e-cigarettes-and-lung-health.html?referrer=https://www.google.com/. “Deeming—Extending Authorities to Additional Tobacco Products,” FDA, September 14, 2015, http://www.fda.gov/TobaccoProducts/Labeling/RulesRegulationsGuidance/ucm388395.htm. Laurie Tarkan, “How new rules could kill the vaping boom,” Fortune, September 29, 2015, http://fortune.com/2015/09/29/vaping-fda-rules/. “A Smoking Gun: Cancer-causing chemicals in e-cigarettes,” Center for Environmental Health, September 2015, http://www.ceh.org/wp-content/uploads/CEH-2015-report_A-Smoking-Gun_-Cancer-Causing-Chemicals-in-E-Cigarettes_alt.pdf. “What about electronic cigarettes? Aren’t they safe?” American Cancer Society, February 13, 2014, http://www.cancer.org/cancer/cancercauses/tobaccocancer/questionsaboutsmokingtobaccoandhealth/questions-about-smoking-tobacco-and-health-e-cigarettes. “Nursing Faculty Awarded Grant to Study E-cigs Effects in Pregnant Women,” SurfKy News, October 5, 2015, http://surfky.com/index.php/communities/ohio/123-general-news-for-all-sites/65268-nursing-faculty-awarded-grant-to-study-e-cigs-effects-in-pregnant-women. Steven Reinberg, “Many Pregnant Women Think E-Cigarettes ‘Safer’ than Regular Cigarettes,” HealthDay, April 30, 2015, http://consumer.healthday.com/pregnancy-information-29/pregnancy-news-543/many-pregnant-women-think-e-cigarettes-safer-than-regular-cigarettes-698958.html. Barbara Pineiro, et al., “Gender differences in use and expectancies of e-cigarettes: Online survey results,” Addictive Behaviors, January 2016; 52: 91-97, http://www.sciencedirect.com/science/article/pii/S0306460315300174. “Long-Term Consequences of Fetal and Neonatal Nicotine Exposure: A Critical Review,” Toxicol Sci., 2010; 116(2):364-374, http://toxsci.oxfordjournals.org/content/116/2/364.full.